No more do you have to pick and choose how much fun you want to bring with you! 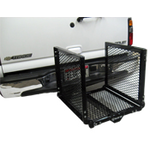 The new Cargo Carrier literally expands your storage space! 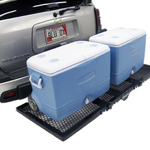 Don't have enough room for luggage and coolers at the same time when going on vacation? 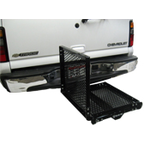 Just attach the Cargo Carrier into your 2" receiver hitch and pack up to 500 pounds of fun. It's perfect for tailgating. 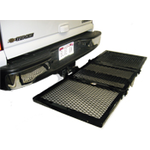 Fit your grill, your coolers with your favorite beverages and snacks, or bring along some extra luggage. The best part? When you don't need it - fold it up and put it away! It collapses into a third of its size, and is light to carry!